We bought a new house last year, and it turned out the old screen wouldn’t fit down the stairs. Since I had to build a new screen, I redesigned things a bit so that the screen would float out off of the wall. I have wanted to try building an ambilight system some day, and this design allows the effect to wrap all the way around the screen. 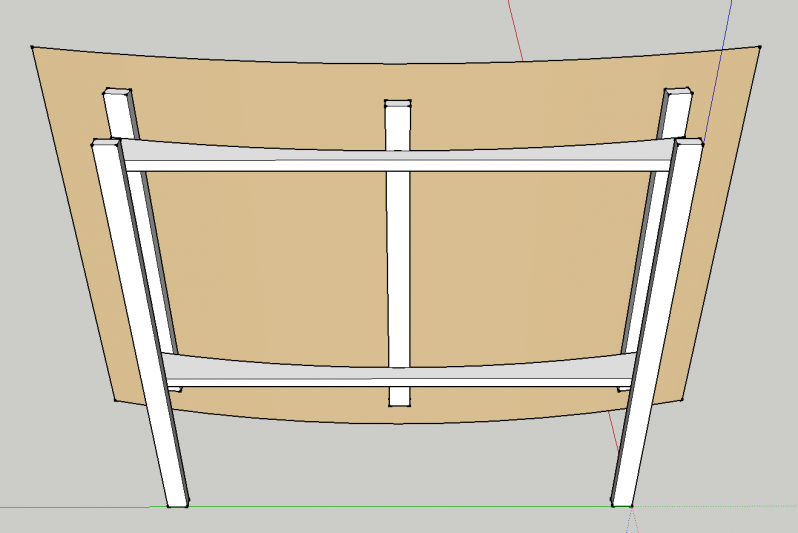 I basically followed my previous build process to the letter, with just some minor changes to the frame which you can see in my sketchup rendering. If I ever get around to adding the ambilight system, I’ll be sure to write up a post about how it goes! Update 12/2013: I finally did it, and it rocks! Check it out!